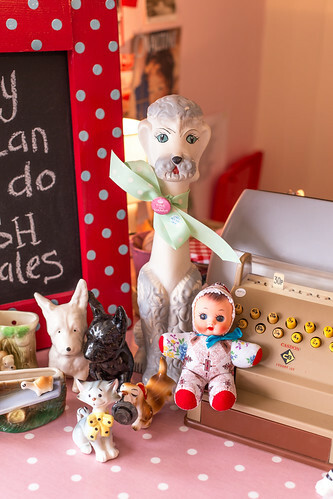 Please note that the Fine & Dandy bricks and mortar shop is now closed. 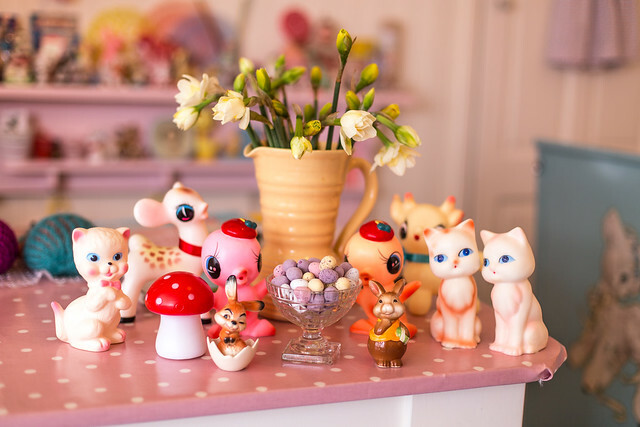 Please follow Shevie's Instagram account for her online shop details. 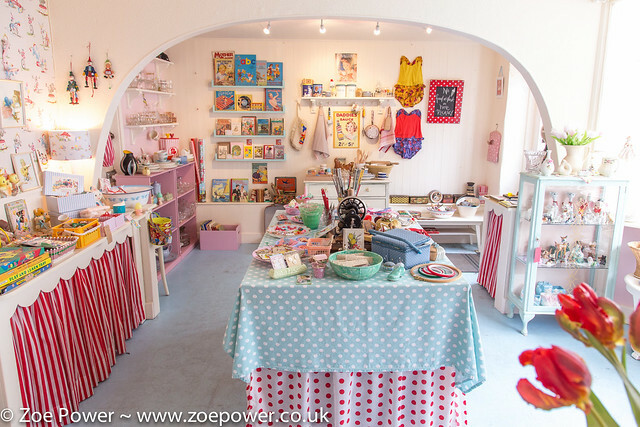 I was lucky enough to visit the utterly fabulous Fine and Dandy shop in Marazion, Cornwall, for a second time earlier this month (see my post from last year for photos from my first visit). 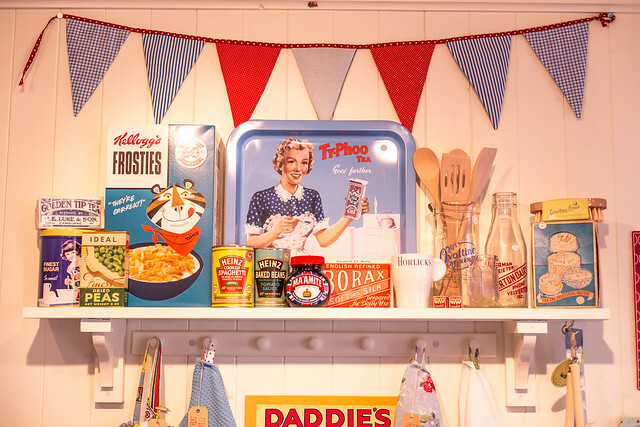 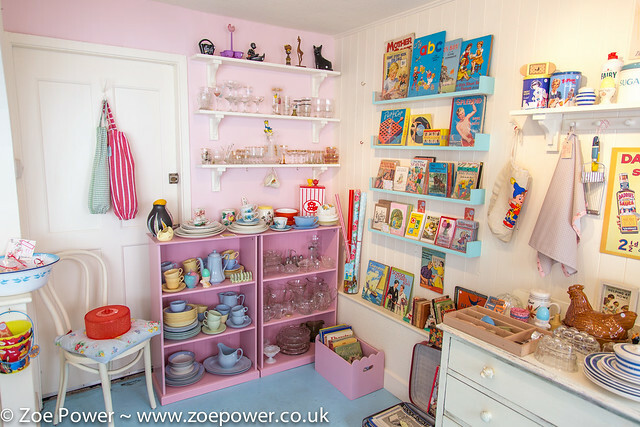 The shop is run by the super lovely Shevie, who has such an amazing eye for finding, curating and displaying the most gorgeous selection of vintage items from the 30s to the 60s. 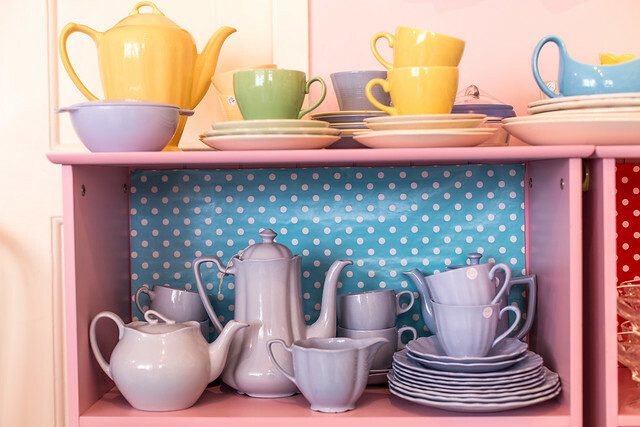 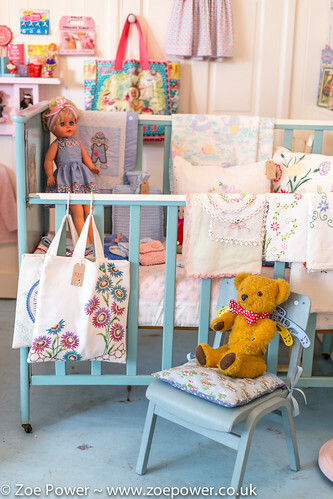 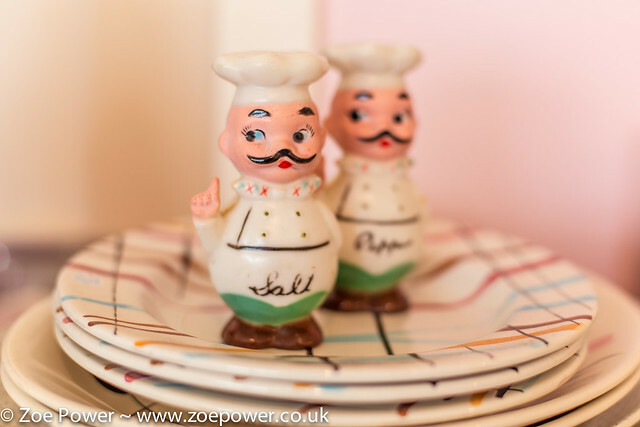 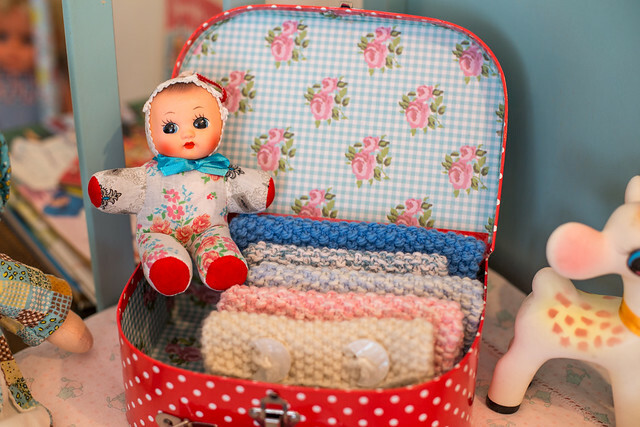 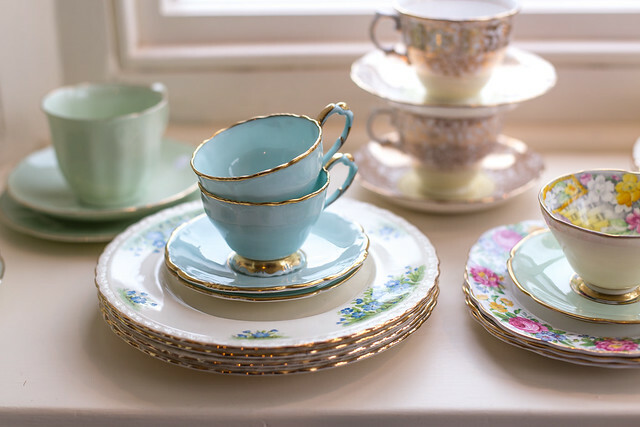 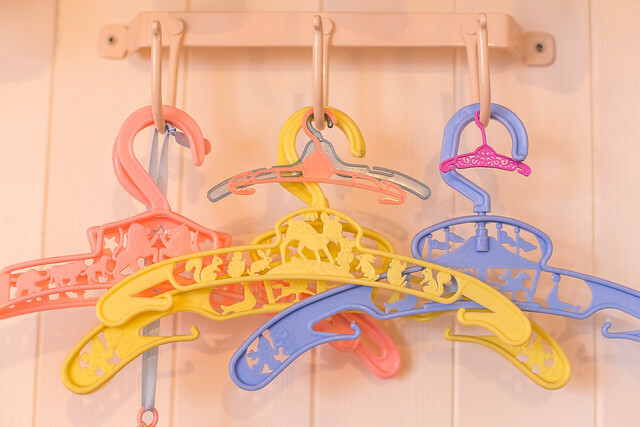 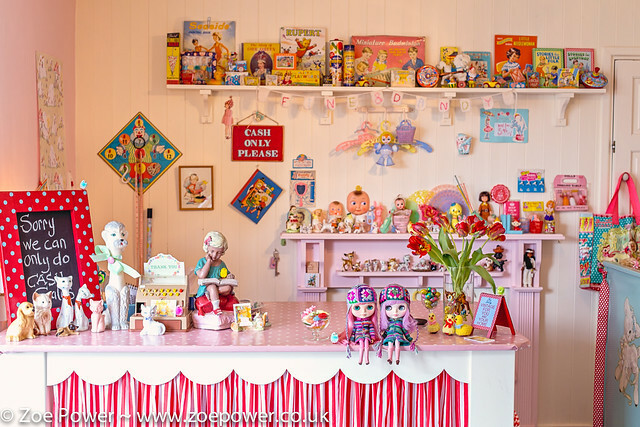 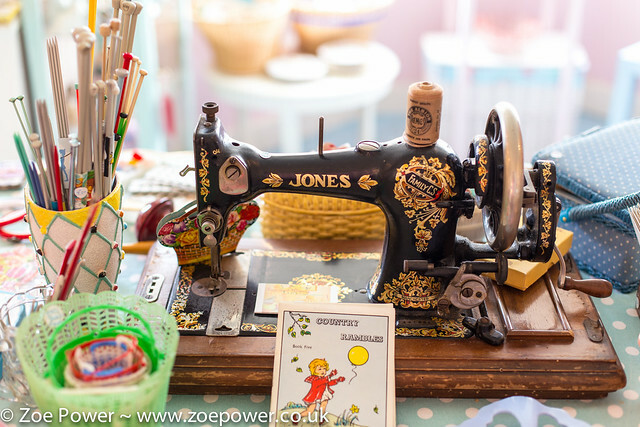 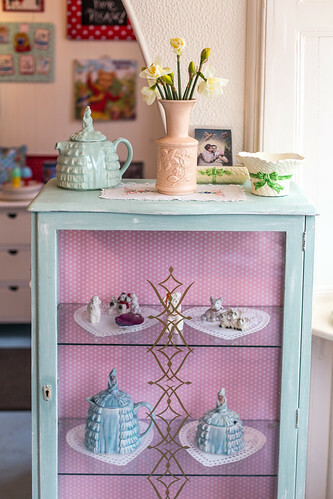 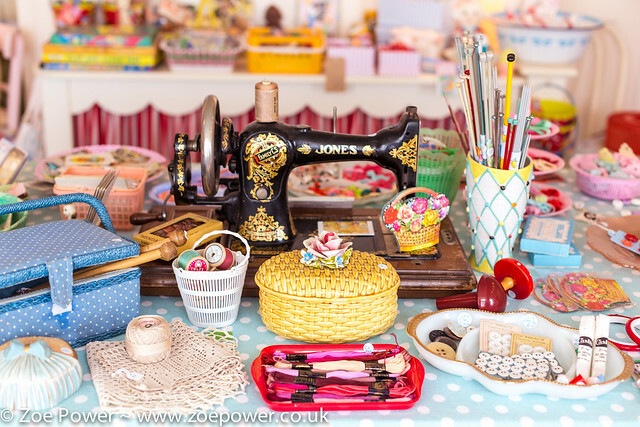 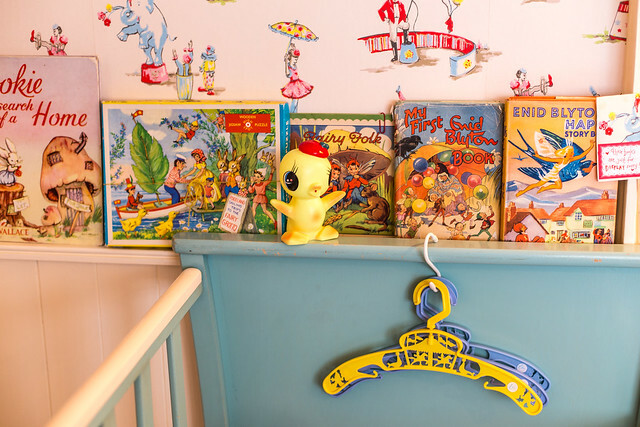 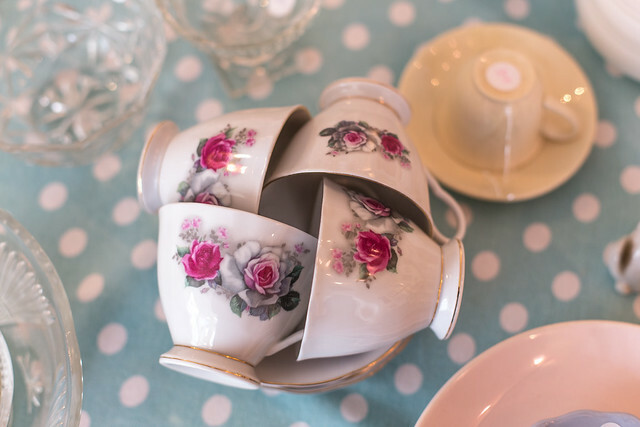 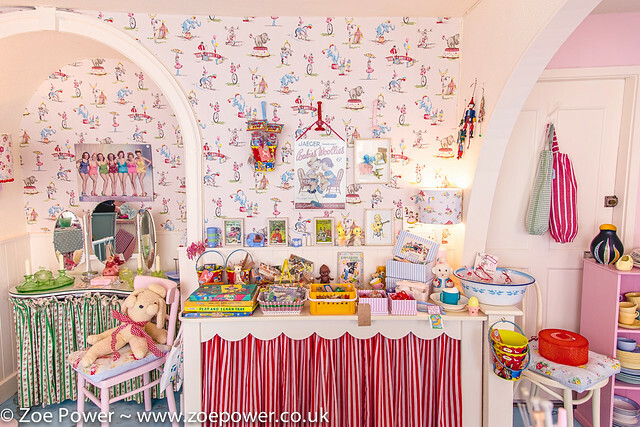 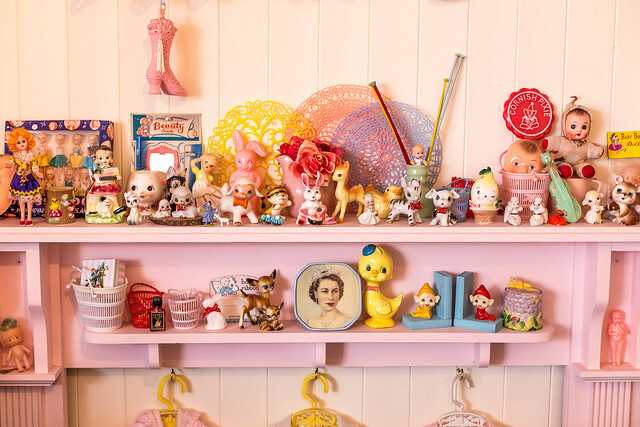 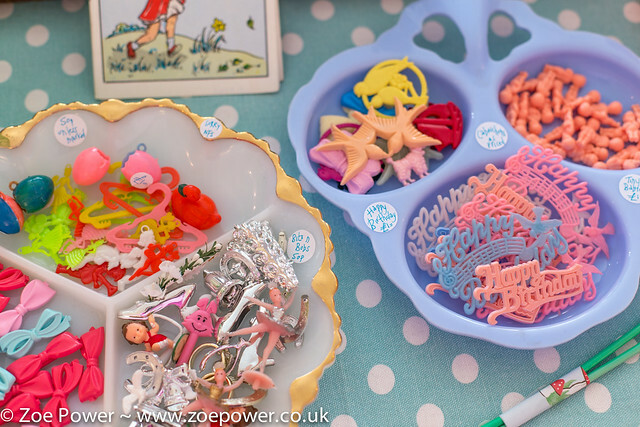 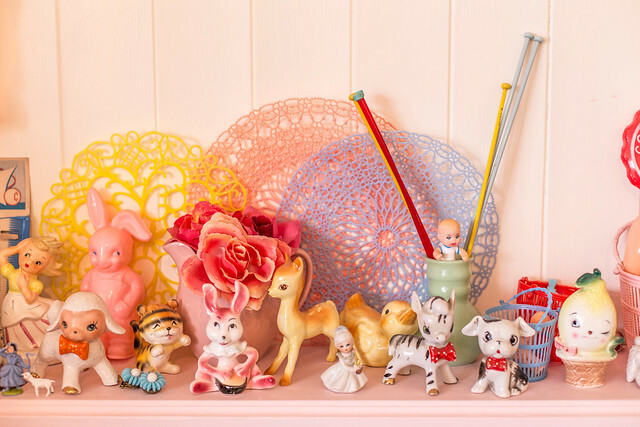 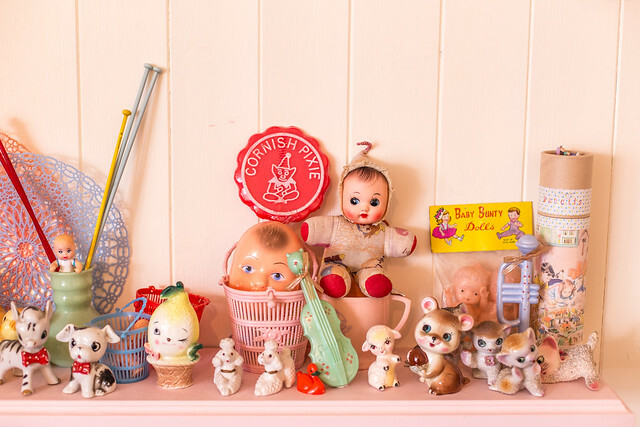 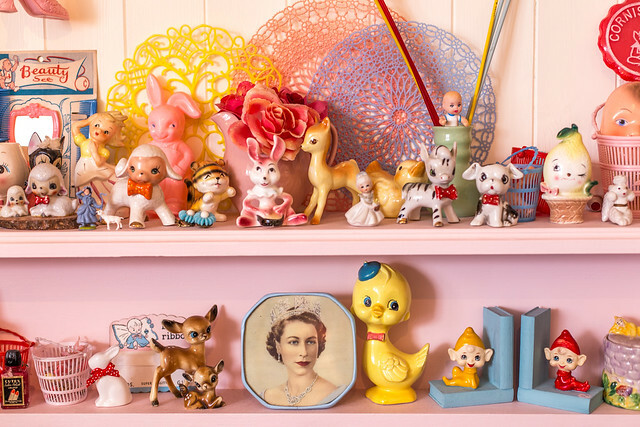 There are lots of vintage toys and pretty china and so much pastel loveliness that it's all a bit much to take in! 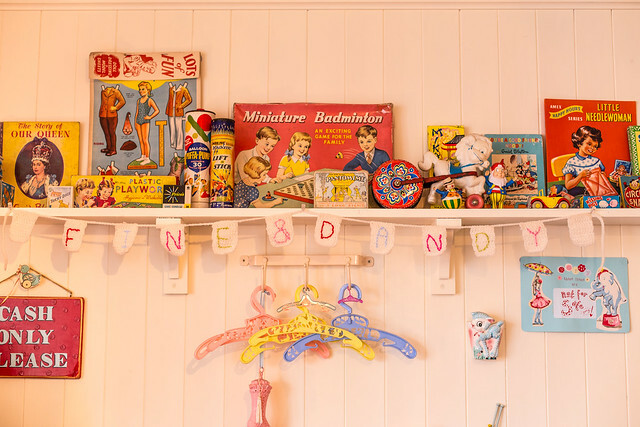 Fine and Dandy has just turned 4, so I'm sending my best happy birthday wishes and hoping it continues to grow and blossom. 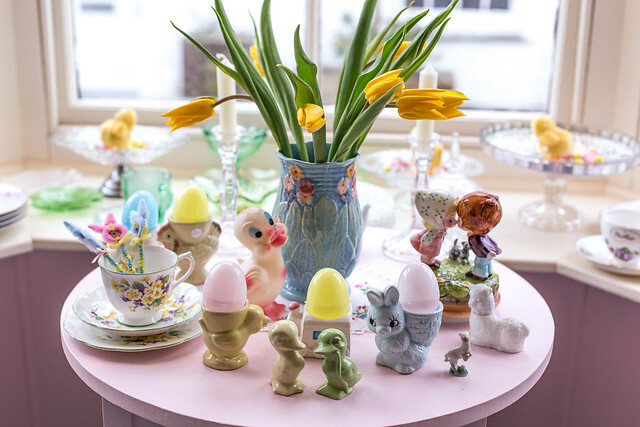 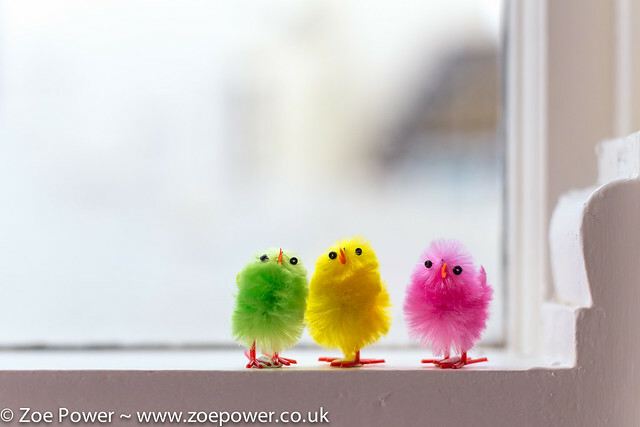 My last visit was at Easter time as well - the shop was looking so pretty, decked out in easter finery. 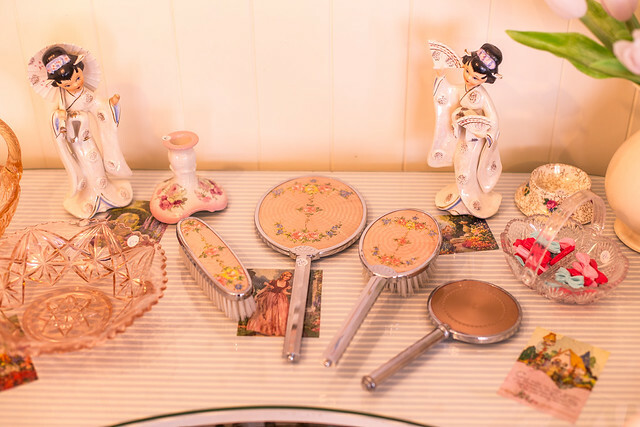 The displays are always changing - take a look at Shevie's Flickr set for more photos of Fine and Dandy over the years. 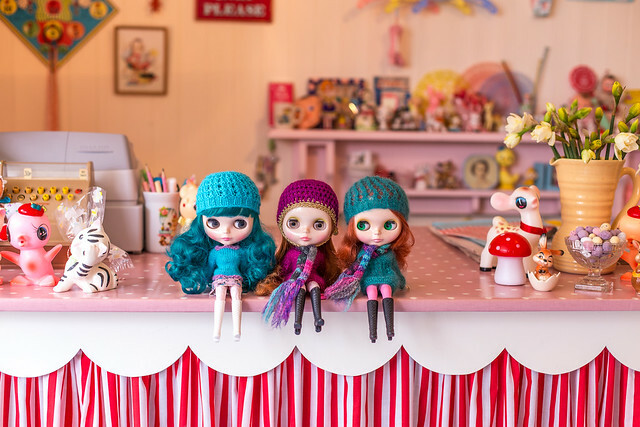 I took a couple of Blythes with me to visit Shevie and they looked right at home. 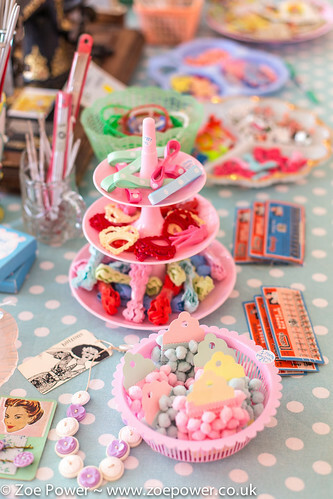 I'm sorry there aren't more photos - I was too busy having such a lovely time chatting to Shevie! 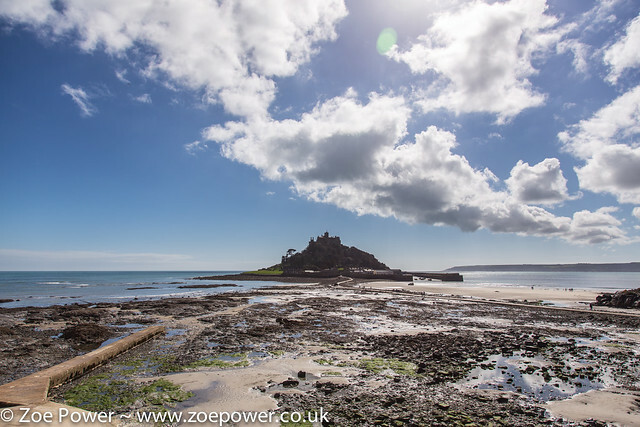 Whilst you're down in Marazion, there's lots to see and do - St. Michael's Mount is a must - and I can recommend the lovely Delicious deli/cafe - beautiful, tasty fresh food and lovely tea served in vintage china (some of it from Shevie's shop!). 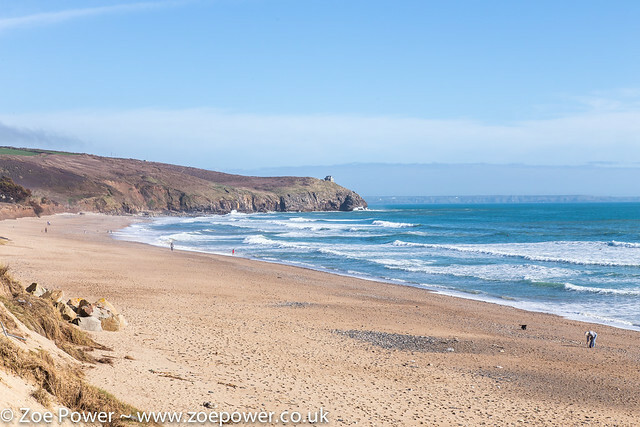 There are lots of lovely beaches and coves nearby too. 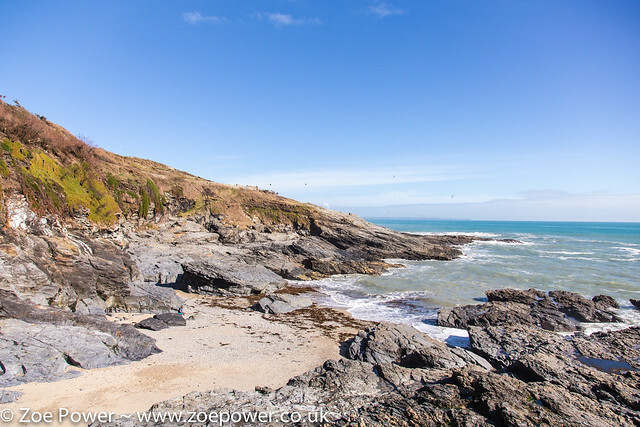 We enjoyed exploring the beautiful and secluded Prussia Cove, and the lovely Praa Sands. 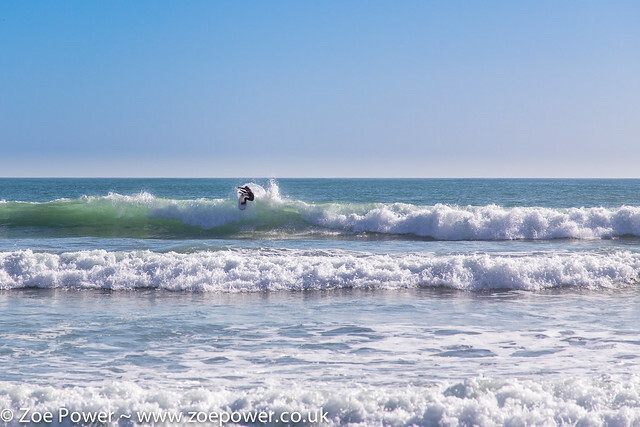 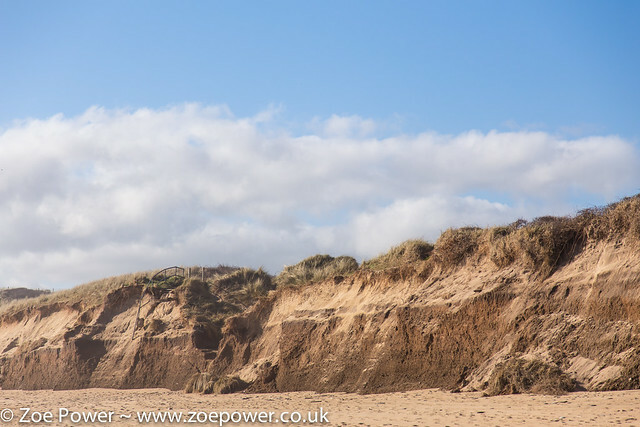 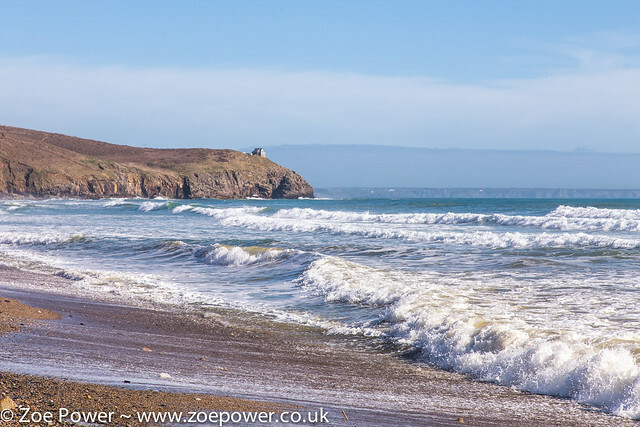 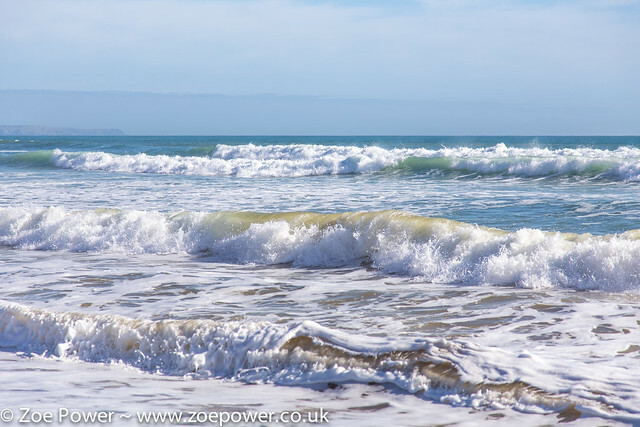 We wandered up and down the beach at Praa Sands watching the waves crash and roll, with the sun on our face - magical - and what Cornwall is all about for me. 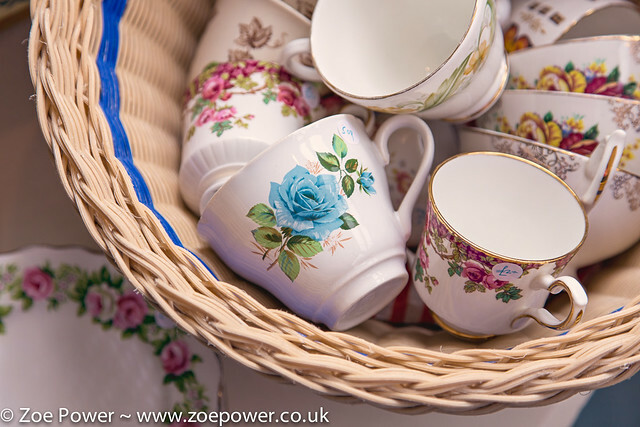 If you can't get to Cornwall, Shevie has a selection of items for sale in her Etsy shop. 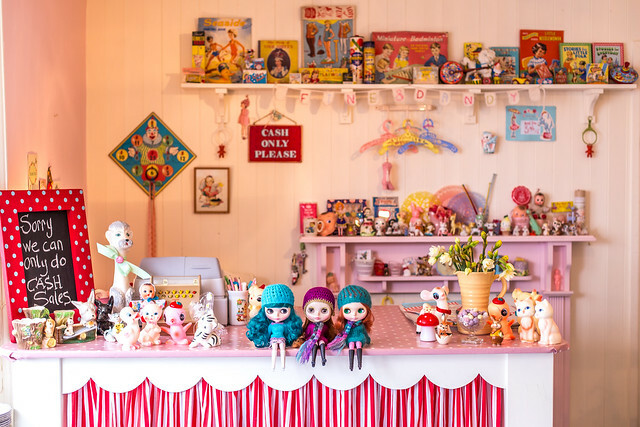 You can also find her on Flickr and Instagram for a regular dose of vintage goodness :) And for more pics of Shevie's lovely shop over the years please see her Fine and Dandy set on Flickr. 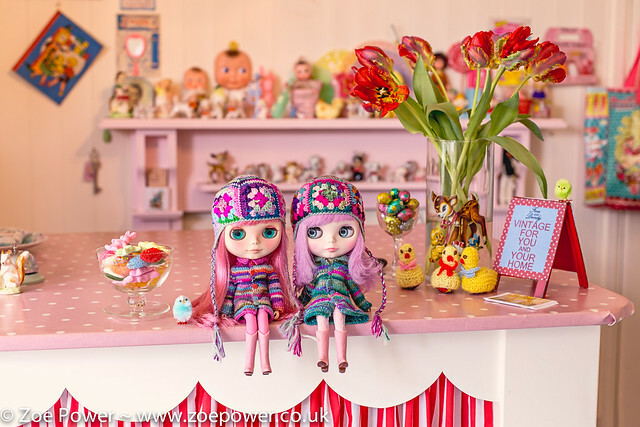 I took a few of my Blythes with me to visit Shevie and they looked right at home :) We spent a lovely few hours having a good natter - Shevie is so friendly and welcoming.